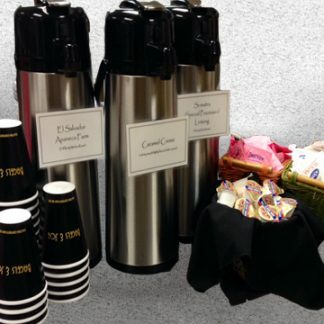 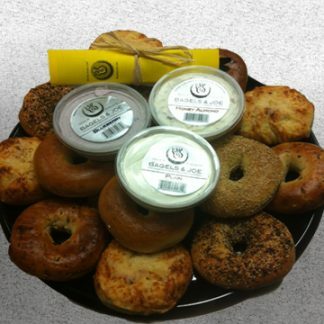 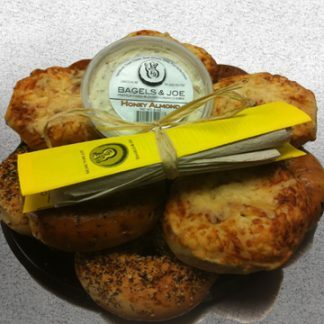 Two dozen of our fresh baked bagels either sliced or party cut (tidbit) with three cream cheeses. 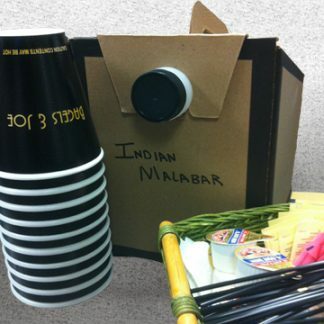 Wrapped on a presentation tray with napkins & knives. 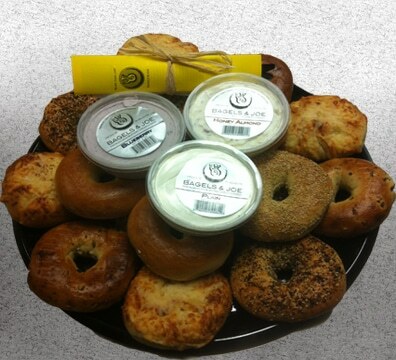 Perfect for the next breakfast party!